I have driven past these homes on numerous occasions with the same repeating thought, “I wonder how long it will be before the city demolishes these as well? 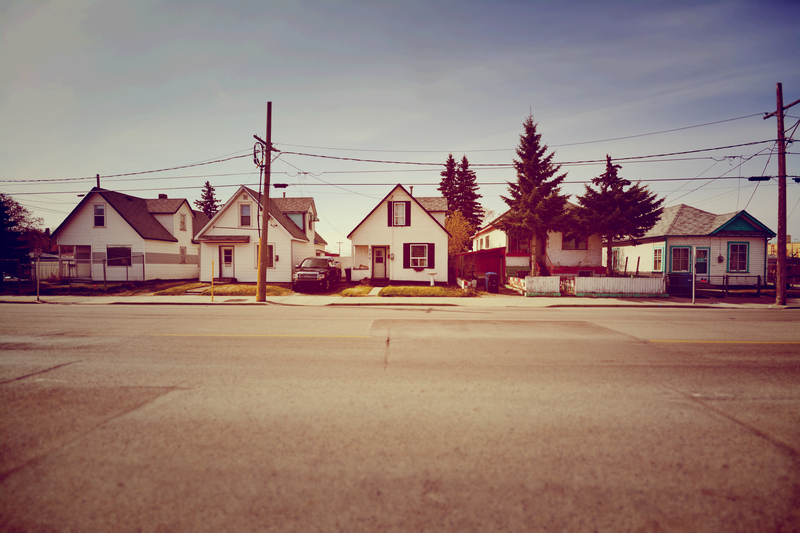 All of their neighbours are long gone – it’s only a matter of time.” Yet, there they stand – a testament to one of Calgary’s oldest neighbourhoods – Victoria Park. If the streets of the east end could talk, oh the stories they would tell. 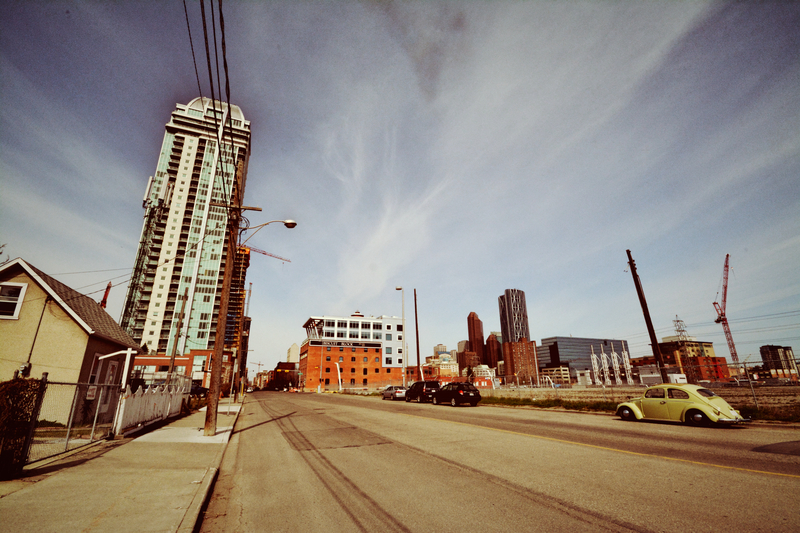 This tiny strip of houses is located just north of the Stampede Grounds, all alone as the city skyline and Stampede slowly encroach upon them. Beautiful!Which place is this about? Thanks, this would be near downtown Calgary, Alberta. It is sad to see the old neighbourhoods disappearing!